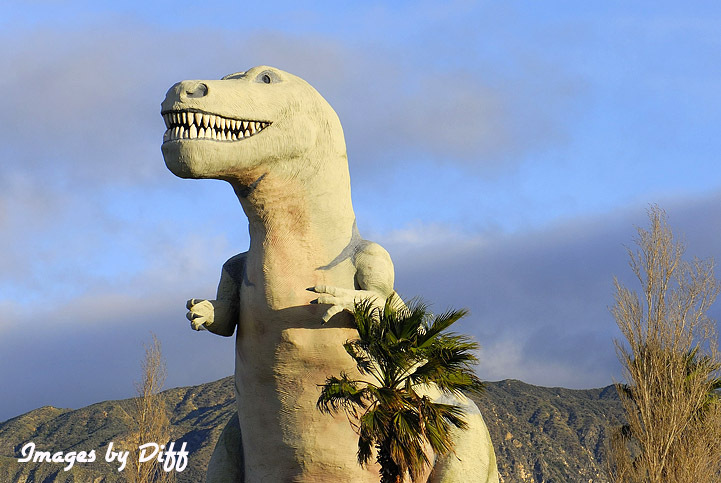 click photo to enlarge The Cabazon Dinosaurs were created over a 20 year period by Claude K Bell a portrait artist and sculptor at Knott's Berry Farm. The first, Dinny, was started in 1964 and took 11 years to complete. It was created to draw people into Bell's restaurant Wheel Inn Cafe. 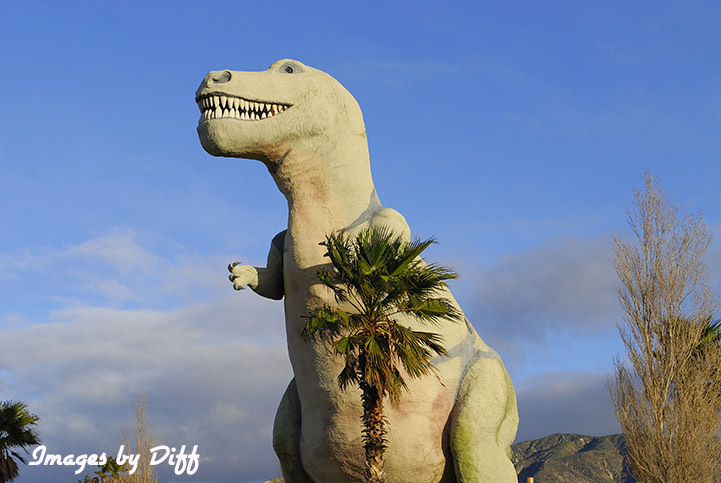 click photo to enlarge Dinny's belly is a gift shop. 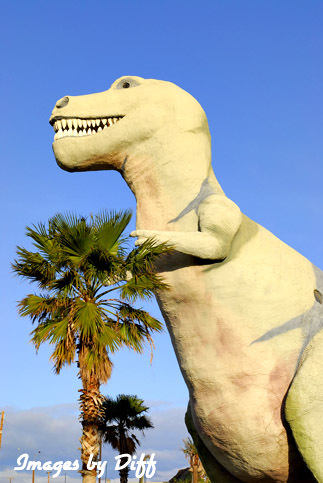 The second dinosaur, Mr. Rex, was started in 1981 and took 7 years to complete and is near Dinny. 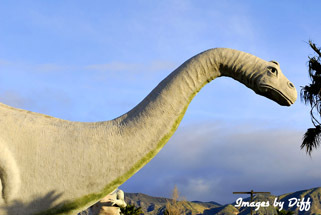 He did have a slide in his tail at one time that is now filled in with concrete. 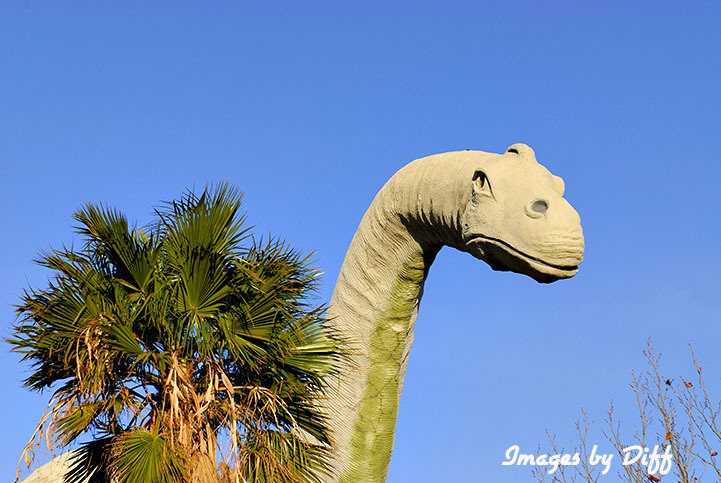 Both creatures have been used in a few music videos. click photo to enlarge New owner Gary Kanter, an Orange County developer, is using the dinosaurs of Cabazon as a platform for his Creationist viewpoint. I just used them to take pictures <grin>.